I can’t remember when I first noticed the lump on my right wrist, but when lifting a fork became painful, I knew I couldn’t ignore it anymore. On May 13th, I left work and went to my doctor because my wrists, fingers, arms and shoulders were hurting so much that it prevented my lunch from reaching my mouth. 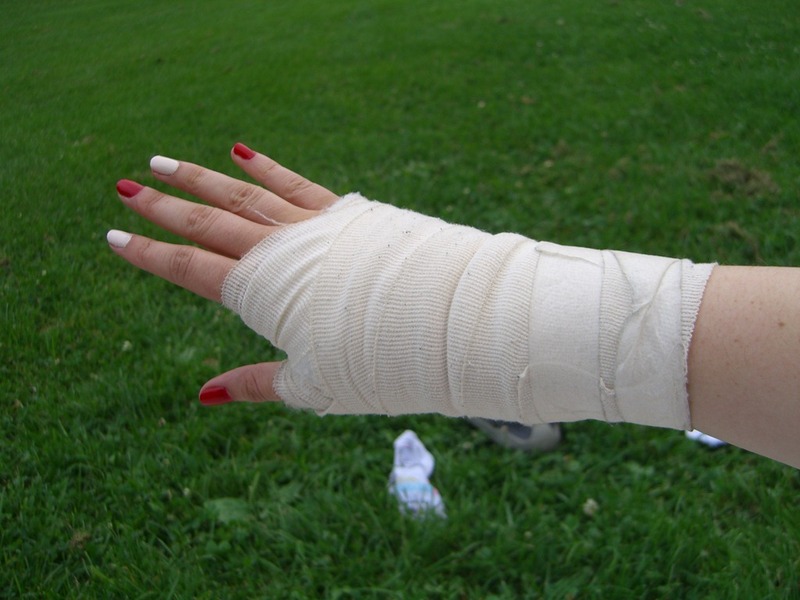 We all assumed it was tendinitis in the wrists, a typical repetitive strain injury. I was a journalist and front page editor spending most of my free time swing dancing and tweeting – of course my wrists were strained! I was told to stop writing for two weeks. Then for two more weeks. Then for two more. And eventually it had been three months. Read the rest of this blog post at Nascent Novelist, where I was a guest blogger this week. Categories: Journalism according to Julie, Julie in English, Julie's life | Permalink.